Bella Thorne was spotted leaving her Manhattan hotel all covered up in grey ensemble on Wednesday last week. Looking comfortably chic, the 18-year-old actress wore a gray long-sleeved turtleneck sweater by Aqua Cashmere and paired it with matching gray jeans by Rag & Bone. Bella styled the look with a couple of rings, earrings, and a pair of white high-top sneakers. Her white Chanel purse added a hint of luxe to the casual getup! 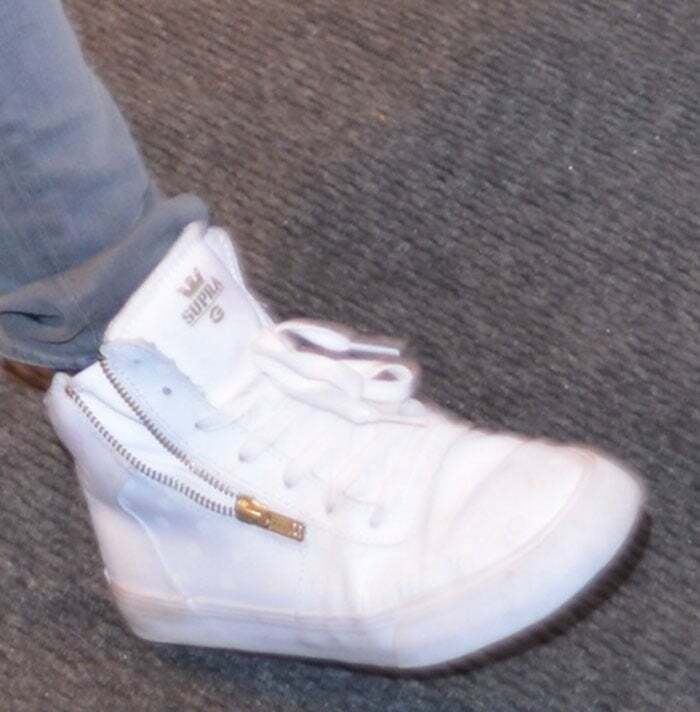 The “Shake It Up” star picked the Supra “Cuttler” sneakers for her feet. They are made of leather and feature a tonal polka dot pattern, slightly padded tongues for comfort, metal eyelets, side zip fastenings, lace-up fastenings and vulcanized soles with contrast traction. 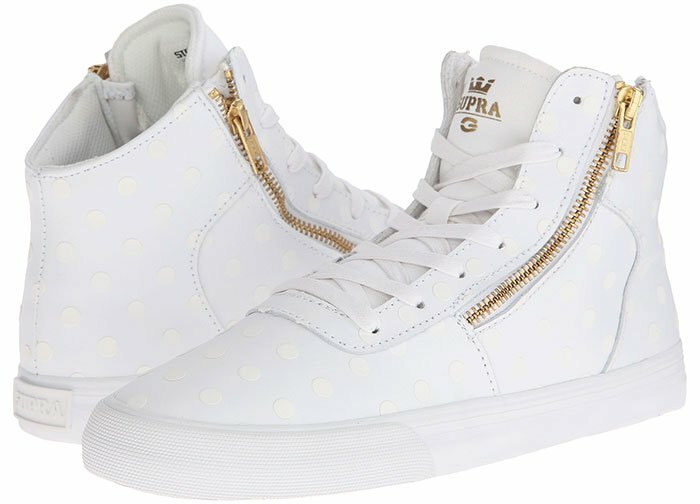 These Supra sneakers can be yours from $51 at Zappos and Amazon.